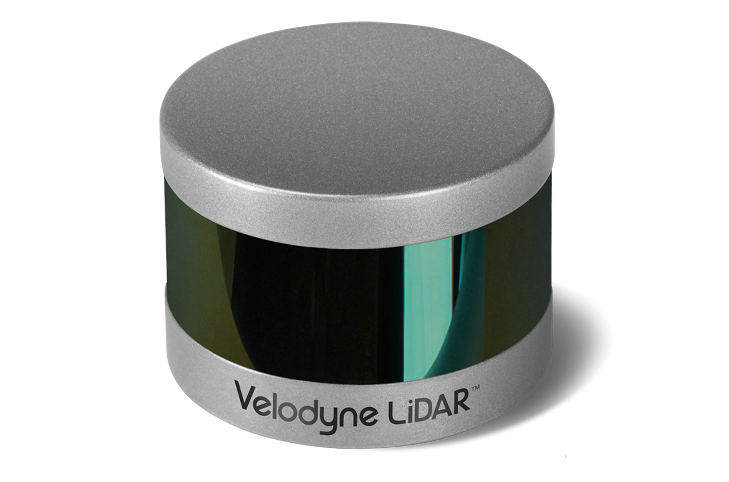 Velodyne LiDAR’s Puck Hi-Res is a higher resolution version of the Puck and used in applications that requires greater resolution in the captured 3D image. The Puck Hi-Res has identical performance to VLP-16 with the only differences in the vertical field of view (FoV) which is 20° instead of 30° and therefore a tighter channel distribution where it is 1.33° instead of 2.00° between channels. No other changes have been made to Puck Hi-Res as it retains its patented 360° surround view to capture real-time 3D LiDAR data that includes distance and calibrated reflectivity measurements. The Puck Hi-Res has a range of 100 m with dual return mode to capture greater detail in the 3D image at longer ranges at a low power consumption. A compact footprint with closer spacing between channels to enable greater resolution of 3D images, the Puck Hi-Res provides more detailed views in applications such as autonomous vehicles, surveillance and 3D mapping/imaging. It supports 16 channels and generates 300,000 points/second from a 360° horizontal field of view and a 20° vertical field of view with ±10° from the horizon. The Puck Hi-Res has no visible rotating parts and is encapsulated in a package that allows it to operate over a wide temperature range and environmental conditions.